5 Stars "Writing Your Own Best Story is the most powerful, accessible, and wise piece of writing on the subject of addiction that I've come across." Addiction and Recovery are hard! But, no matter how far you fall, or how much your struggle, there is always hope for recovery. I wrote my book, “Writing Your Own Best Story“ to help other people struggling with addiction and trying to find recovery. I poured my life experiences into the book and it includes the 100’s of tools and tips that helped me go from absolute rock bottom (prison) to my current 6 years and 10 months of sobriety and recovery. Your best story hasn’t been written yet! A guide to one of the most controversial and misunderstood shows in the history of the HBO Network. HBO's "Vinyl" tells the story of American Century Records, a fictional record company in New York City struggling to survive just as Punk, Disco, and Hip-Hop are emerging from the clubs and into the collective consciousness. The series stars Bobby Cannavale and Olivia Wilde. The book is made up of a series of "deep-dive"" companion pieces to each of the episodes of Vinyl with the intent of revealing and explaining the music history contained within. The book also addresses and answers many of the controversies surrounding the show. 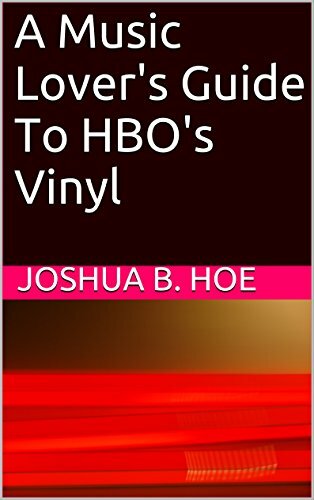 A Music Lover's Guide to HBO"s Vinyl is available as an eBook exclusively at Amazon.com and costs $2.99. Joshua B. Hoe is the author of the music blog OnPirateSatellite.com and the addiction recovery blog WriteYourBestStory.com. He started playing drums by the age of five and has played in bands, managed bands, attended thousands of concerts, and been part of many music scenes. He particularly loves 50's Rock, Classic Country, Punk, Ska, Post-Punk, Hip-Hop, Electronic Music, Noise Music, and Experimental Music. He believes that genres are more like ingredients in a recipe than like boundaries. Josh is also a freelance writer with degrees in Political Science and International Relations. Josh is also the author of the book "Writing Your Own Best Story" about addiction and recovery He currently lives in Michigan but has also lived in New York, Tennessee, Oklahoma, Texas, and Arizona.